Direct talks between Washington and Pyongyang could not only avoid strategic misjudgments on the two sides and thus prevent military clashes, but also pave the way for more effective and swift solutions to the nuclear crisis on the Korean Peninsula, said Chinese experts on Sunday. 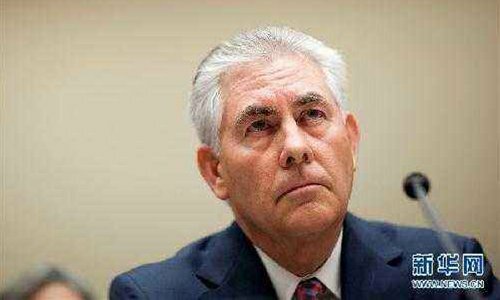 US Secretary of State Rex Tillerson confirmed during his visit to Beijing on Saturday that the US is communicating with North Korea as it seeks to encourage the regime to abandon its buildup of nuclear weapons, the Telegraph reported. Tillerson's disclosure suggests that US officials are also using secret talks to convince Pyongyang to hold official negotiations aimed at easing tensions, said the report. "We ask. We have lines of communication with Pyongyang. We're not in a dark situation, a blackout, we have a couple, three channels open to Pyongyang," the report quoted Tillerson as saying. "We can talk to them, we do talk to them," he said. However, the report did not reveal what the channels are. "Such comment by the US Secretary of State during his Beijing visit could show that the US is increasingly agreeing with a diplomatic solution on the crisis, which has been long proposed by China, and that Washington is double-downing its diplomatic efforts on addressing the crisis,’’ Li Haidong, a professor at the Institute of International Relations, China Foreign Affairs University, told the Global Times on Sunday. "Although direct, unofficial talks have been occurring in the dark, tensions between the two sides have been rising and such problems remain thorny due to the limited scope of such unofficial talks. And the US is obviously inviting China and Russia to do more to make official multilateral talks possible in order to touch deeper with North Korea,’’ Li said. Yet, it is also undeniable that the positive effect of such direct talks between Washington and Pyongyang offers a communication system that prevents either side making a sudden strategic misjudgment, which could lead to war, Li said, and it is helpful for both sides to make their decisions based on these talks in a more predictive way.